EXCITING NEWS! WE’VE JUST MOVED TO OUR NEW SHOWROOM!!! benefit from our after sales service. Visit us at Unit 1, The Arches, Furmston Court, Letchworth Garden City. 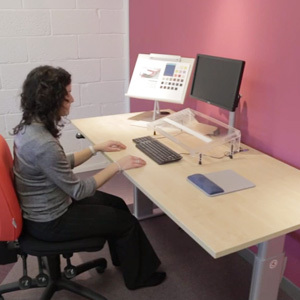 UFFICIO is based in Letchworth Garden City, Herts and we are Specialists in Computer Workstation Ergonomics through the provision of Ergonomic Accessories, Ergonomic Seating, Desk & Office Furniture Systems, Height Adjustable Desking, and Specialised Office Chairs for Disability Applications. "I am very happy with my chair, Pasquale. I was worried that I'd have problems working at my desk after my operation, but the chair is so comfortable that I don't even notice the hours flying by. All of your 'measuring up' and attention to detail has really paid off. What's impressed me most is that the chair is truly bespoke, made exactly for me. I didn't think it was possible. So thank you, not only for getting my chair 'just right', but also for your genuine commitment to excellent service." 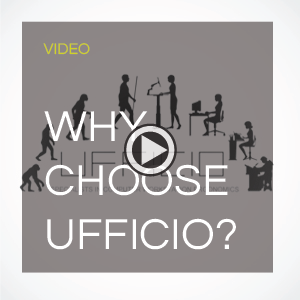 “I have used UFFICIO since 2008 for Display Screen Equipment surveys and other staff-related health issue surveys. UFFICIO has always performed to the highest standards, making appropriate recommendations for and subsequently supplying new items of equipment. 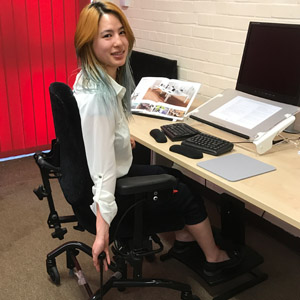 “We have used UFFICIO Limited as a supplier of specialised office products since 2007, and they have provided us with both bespoke seating and ergonomic products for those of our staff with special needs, and also straightforward office furniture systems for our general office requirements.